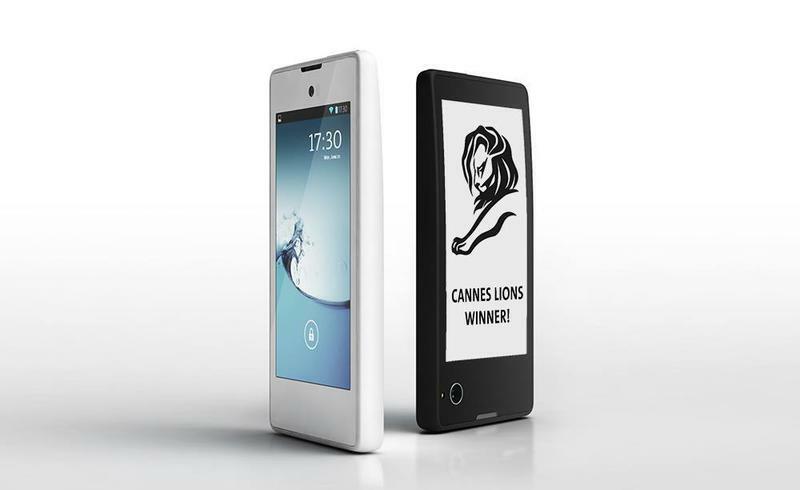 Almost a year ago, the world had its first peep at the YotaPhone, a device that offers two displays: one normal screen up front, and a secondary e-ink "Fina" screen on the back. Now, that phone is finally making its way to select markets around the world. The YotaPhone, powered by Android 4.2.2, makes its debut today in Germany, France, Russia, Spain and Austria. The device seemed pretty revolutionary last January, considering it offered decent specs at the time, such as a 1.7GHz dual-core processor, a 4.3-inch display with a 720p resolution, 2GB of RAM and a 13-megapixel camera. However, as the industry has progressed to 1080p displays and quad-core processors, the YotaPhone didn't change. Thankfully, that e-ink display on the back is enticing enough; it's always on and can provide notifications, allow you to read a book and more. With an always-on display, you also don't have to worry as much about battery life being sucked out of a standard LCD screen. The YotaPhone is priced at 499 euros, according to BBC, and the company has plans to launch it in an additional 20 countries by March, just four months from now. We haven't heard a peep on a possible U.S. release, but we'll keep you updated if that changes.